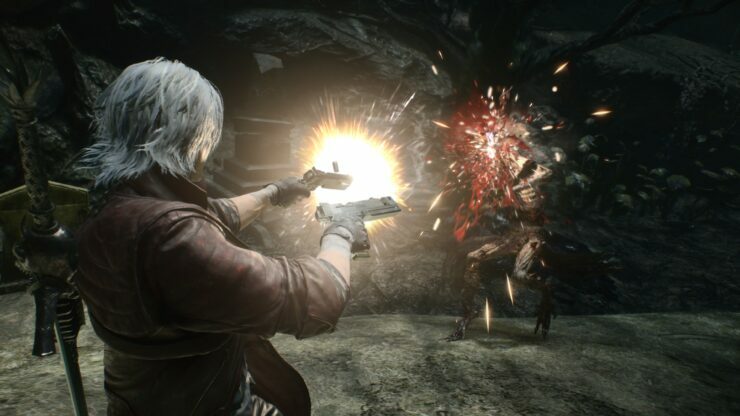 It’s been a busy week for Devil May Cry 5 between a new trailer from TGS 2018, the official system requirements for the PC version and rumors of online multiplayer features that have yet to be confirmed or denied by CAPCOM. With giving people the ability to purchase Red Orbs, it’s something we want to give people as an option. If they want to save time and just want to get all the stuff at once, those people can do that. But on the other hand, I don’t feel you have to get all the moves. You should be able to play it the way you want to play it. It’s interesting because from a game design point of view there’s two different things we think about when we set the prices of the moves, skills, and abilities. The first thing is the stuff that we feel people should want to get first is made cheaper. So people will think, ‘Oh this is cheap so I’m just going to buy this.’ But then for the stuff that’s going to be harder to use and master, we make that more expensive. Partly because of you save up for that you’re not going to be able to buy as many skills, so you’re going to have the time to learn it. So you have to make the decision between going for the cheaper stuff or saving up, getting the thing that has a lot of application but you’ll have to spend time learning and perfecting. Does this affect your interest in the game at all? Let us know below. As a reminder, Devil May Cry 5 is due on March 8th, 2019 for PC, PlayStation 4 and Xbox One.